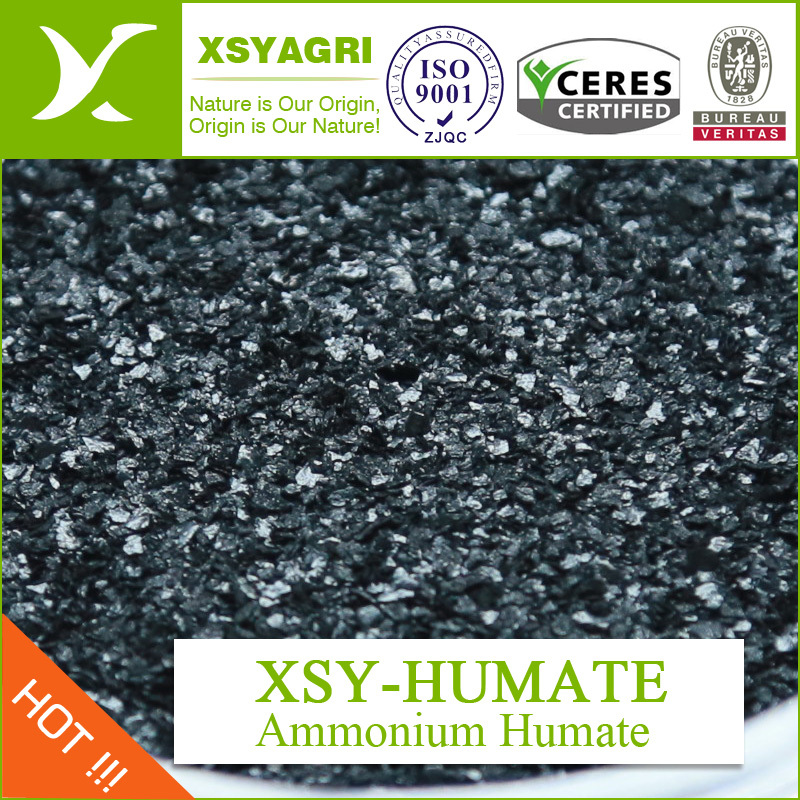 Ammonium Humate is important Humic Acid salt, contains 50% of humic acid and 5% of ammonium nitrogen.It has both granule and flake form. 1) Directly supply nitrogen and stabilize other nitrogen supply.Suggest to mixed use with MKP. 2) Largely promote the buffering power and fertility of soil by improving the structure. In sandy soil ,humic acid will help to increase fertility of soil through its cation exchange capacity to retain water and beneficial micro nutrient .In heavy and compact soil ,Humic acid will work with fungi to construct a crumb structure root to absorb water oxygen and nutrient also improve root penetration. 3) Neutralize both acidic and alkaline soil to release the beneficial metal ions, thus promote absorption by plants. In alkaline soil, beneficial ion and other trace elements can not be absorbed by plants, humic acid can buffer the pH and convert the nutrients and trace elements into absorbable form and promote their uptake by the roots. In acidic soil, humic acid will largely reduce the toxins such as the ally aluminum and heavy metals, which will be bonded firmly and immobilized ,thus their toxicity is reduced and phosphate is bonded by aluminum is released. In salinalised soil, Salts are split up by the high cation exchange capability, cation (eg. Ca, Mg) are bonded and chelated. 4) Forster proper environment for soil microbial mass. Soil research shows that a place with higher content of humic acid will appear more beneficialmicrobial mass.Thus these microbial will help to increase the good effect of the soil. 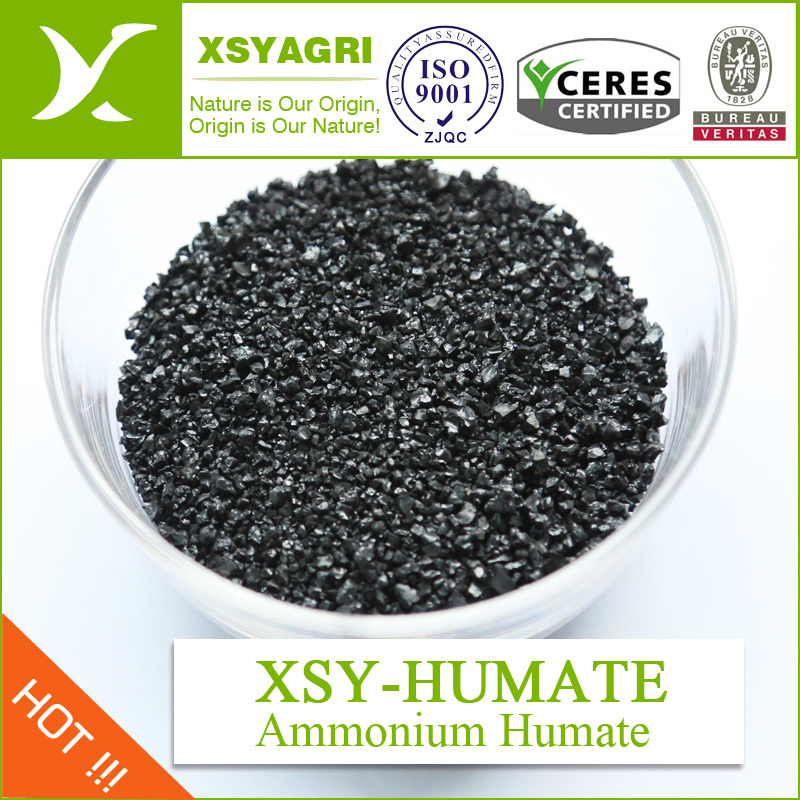 Looking for ideal Ammonium Nitrogen Humate Manufacturer & supplier ? We have a wide selection at great prices to help you get creative. 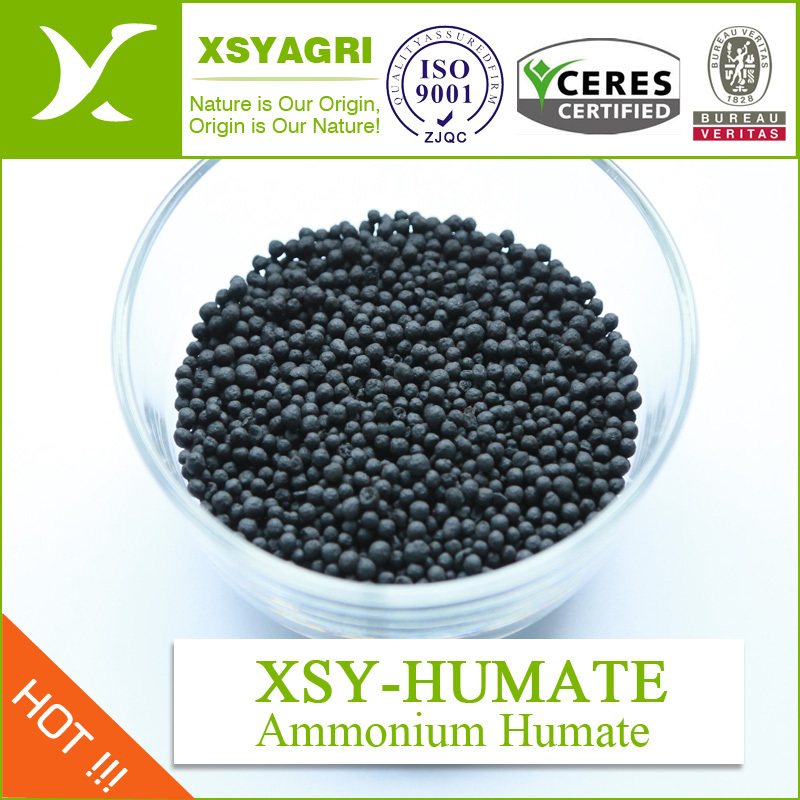 All the Ammonium Humate Granules are quality guaranteed. We are China Origin Factory of Ammonium Humate Nitrogen Fertilizer. If you have any question, please feel free to contact us.